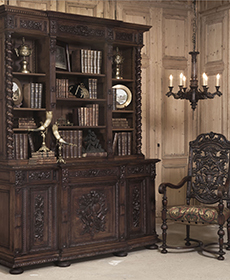 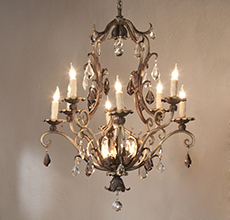 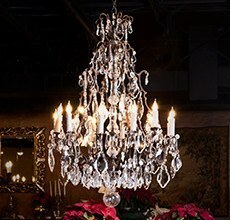 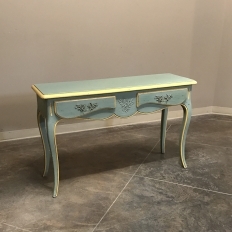 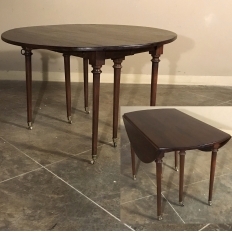 Literally perfect for every single room, the occasional table can range from an antique game table to an antique lamp table, and everything in between. 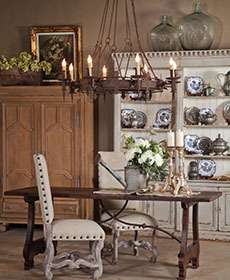 We even have antique carpenter’s work benches in this category that make superb rustic sofa tables. 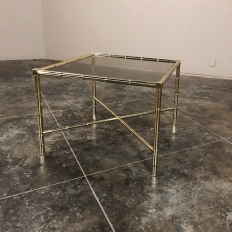 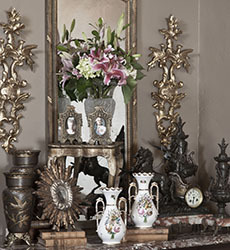 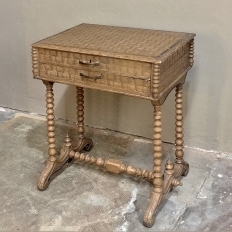 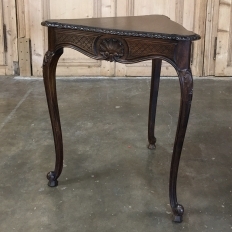 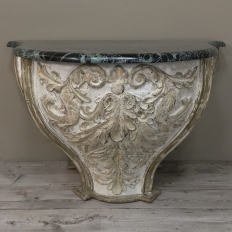 From rustic to formal, from gilded to wrought iron, our antique end table selection is without peer! 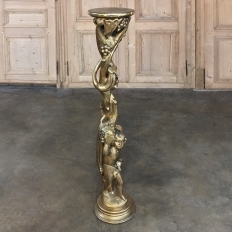 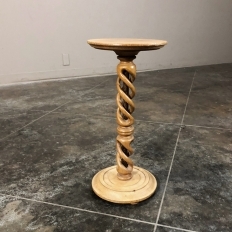 Antique Barley Twist Pedestal ~ Lamp Table features a carved base, carved pediment, barley twist column, and carved edge ~ all hand-crafted from solid oak! 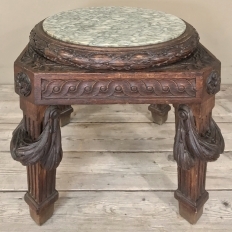 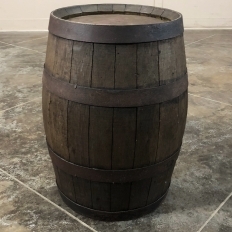 Circa early 1900s Measures 31.5H x 13.5 in diameter.